This creme fraiche potato salad, made with new potatoes, creme fraiche, and lemon, is British with a tart richness. A summery side dish for a barbecue. 1. Bring a pot of salted water to a boil. Add the potatoes in their skins and simmer until tender. Drain the potatoes and tip them into a bowl. Crush the potatoes ever so gently with the back of a fork or roughly chop them. Let cool slightly. 2. Add the crème fraîche, lemon juice, and snipped chives to the potatoes and then season well with salt and pepper. Toss well. Taste and adjust the ingredients accordingly. If desired, cover and refrigerate until chilled through, at least 1 hour. 3. Just before serving, if desired, dribble a little olive oil or a quick vinaigrette made from a few drops of lemon juice, some olive oil, salt and pepper, and a touch of water over the potato salad. Creme Fraiche Potato Salad Recipe © 2005 Gordon Ramsay. Photo © 2005 Bryan Gardner. All rights reserved. All recipes and photos used with permission of the publisher. This is definitely a TC, and then some. Having heard of Mr. Ramsey’s reputation and “short-wired personality,” I was hesitant to even try this recipe. But before I even attempted it, I could see that it was easy with a big E. However, was this a cold potato salad (as we in the Deep South love to love), or was it a hot potato salad (as my German ancestors made with great delight)? Or is this one to be served at room temperature? I found no clues—no refrigeration instructions, nor a “serve immediately” imperative. So I made it, set it on the buffet, and let rip. The overwhelming and unanimous vote from all six tasters was “Oh, yes!” This is just too easy, and oh-so good. You’ll love it. I must confess that we had no chives to snip, so I used the greens of some baby leeks that I’m growing in a pot on the patio. Result? Fabulous. Loved this potato salad recipe. It’s quick, easy, and delicious. Using crème fraiche instead of sour cream or mayonnaise creates a lighter and more delicious flavor, with the lemon juice and chives adding the perfect brightness to balance out the creaminess. It’s a winner, for sure, one that I’ll make many times over summer to go with my endless goal of creating the perfect baby back ribs. Easy, and flavorful, with simple ingredients yielding clean flavors. After combining the ingredients, I chilled the salad to allow all of the flavors to combine. I added the olive oil, but didn’t add the water called for in the instructions. This simple-to-make potato salad is a perfect summer side that comes together quickly and can be easily doubled. The crème fraiche gives the potatoes a nice, creamy flavor without overpowering the salad like a mayonnaise-based dressing can. I really enjoyed the salad warm, although I chilled and served it a few hours later to find the flavors of the lemon and chives had absorbed into the potatoes, really melding together nicely. I used Yukon Golds, and I did peel them. It’s great alongside grilled meats. I’m a transplanted New Yorker who now lives in the UK. I took my love of potato salad along with me and have to say that the delicious potatoes here certainly help the flavor of this recipe and bring it to a new height. Creme fraiche is very easily available here, even a low-fat version. Potatoes here taste like potatoes! I add grated onion to my potato salad and a bit of Dijon mustard helps, too, and a sprinkling of sugar. 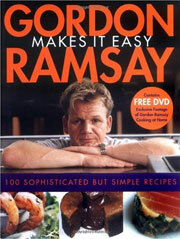 I think Gordon’s recipe should be served a bit chilled—it’s not like a German, warm salad.